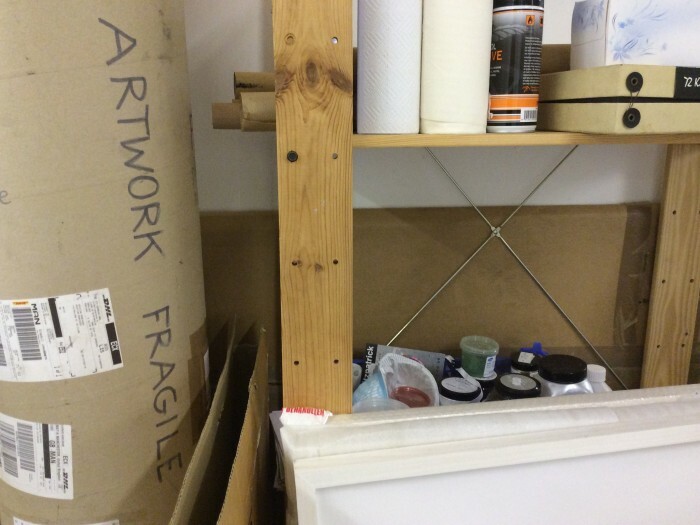 “Its quite unusual to be invited, as a curator, to take part in a studio’s group crit, as one of the studio group – curators and artists benefit from this symbiotic session of learning about artists work in an intimate setting and supporting one another. An invited artist or curator can be the outside eye detached from personal relationships or career routes or any perceptions of past work. All but one artists work was new, another bonus for someone who wants to see what’s happening in another region – I work as a curator and mentor based in Nottingham, and the latter experience means I ask questions rather than give answers. If you can help someone come up with their own ways forward, the impetus is more sustained than ‘taking advice’. The day started at 10am and we were straight in – looking, questioning and talking and thinking about work, ideas, personal, creative and professional directions, influences. The artists did not see the necessity of giving background or ‘selling’ their work or themselves, and after the first artist asked us a question which she had been asking herself, it became a useful starting point.